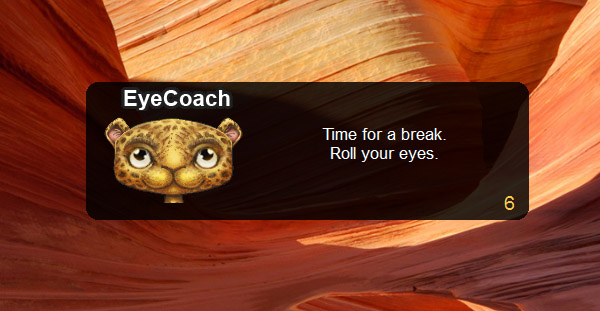 EyeLeo is a handy PC application that regularly reminds you to take short breaks for your eyes. Everyone who spends more than an hour per day looking at a display. Office workers will find the program particularly helpful. 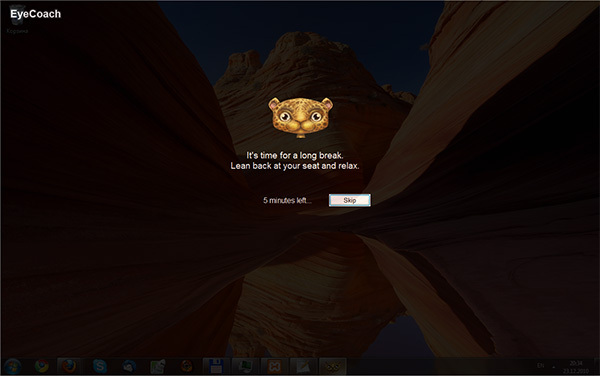 When you are working at a computer it is easy to forget about time. 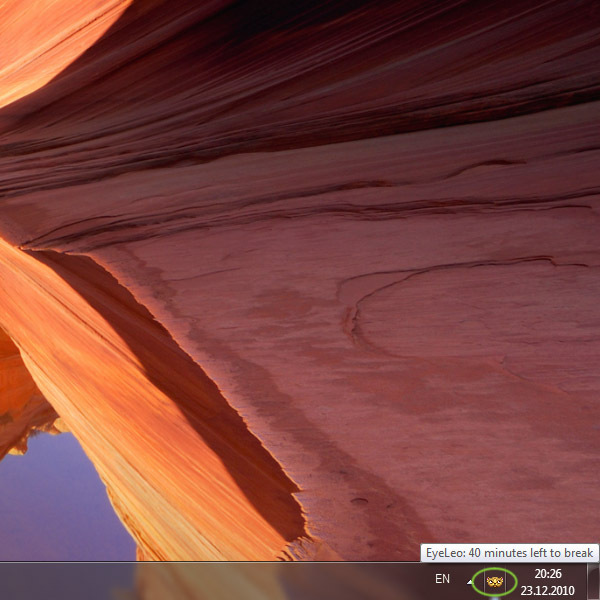 This leads to eye strain and other physical problems. 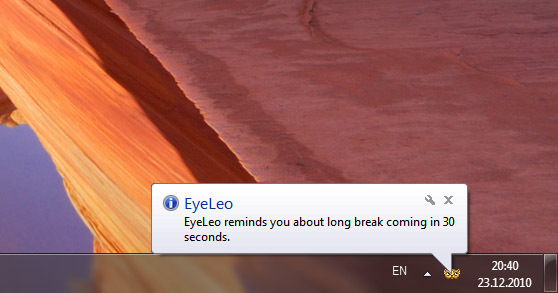 EyeLeo guarantees you won't forget to take a break. Eye strain or asthenopia is a real problem for those who sit at a computer. It is caused by decreased blinking while working long hours focusing on computer screens. 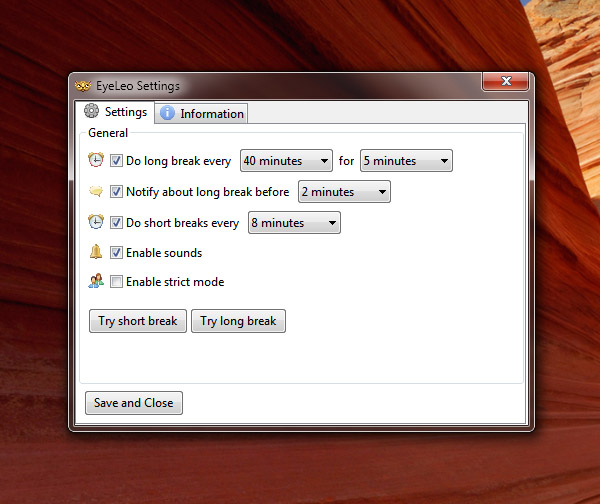 EyeLeo reminds to take breaks regularly, shows you simple eye excercises and prevents you from using the computer at break times. Following EyeLeo's regulations will result in less physical fatigue. Screen blocking long breaks every hour. Eye exercises shown by an adorable Leopard.